Antonin Scalia gives the best rants. 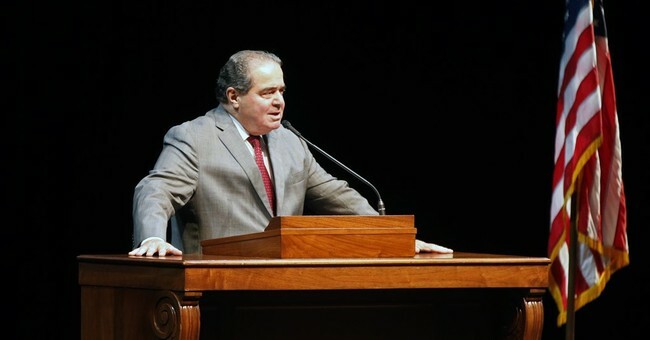 The always outspoken conservative Supreme Court justice participated in a Union League event at Princeton University Wednesday, where he was asked about some of the more controversial cases he and his fellow justices have had to consider over their tenure. Of particular interest was Texas v. Johnson, a 1989 decision in which the Court upheld that Americans had the right to burn the American flag under the First Amendment. Scalia explained that he begrudgingly voted in favor of Gregory Lee Johnson, an activist who had burned the flag in protest of President Ronald Reagan’s policies, placing the Constitution above his personal views. Scalia made it clear that he does not believe in a “living constitution” and that he takes umbrage at those who try to reinterpret or add to its original meaning. “There are some wonderful decisions that have been made by an overreaching Supreme Court. That doesn’t mean they’re right,” Scalia said. The opinion is couched in a style that is as pretentious as its content is egotistic. It is one thing for separate concurring or dissenting opinions to contain extravagances, even silly extravagances, of thought and expression; it is something else for the official opinion of the Court to do so. Of course the opinion’s showy profundities are often profoundly incoherent. “The nature of marriage is that, through its enduring bond, two persons together can find other freedoms, such as expression, intimacy, and spirituality.” (Really? Who ever thought that intimacy and spirituality [whatever that means] were freedoms? And if intimacy is, one would think Freedom of Intimacy is abridged rather than expanded by marriage. Ask the nearest hippie. Expression, sure enough, is a freedom, but anyone in a long-lasting marriage will attest that that happy state constricts, rather than expands, what one can prudently say.) . . .
We hope you never change either, Justice.